As of 2015 paypal has registered 184 million active users and is enables them to transact over 100 currencies at a very convenient fast rate. At the same time it was achieved using 33% fewer lines of code and 40% fewer files using even lesser number of people and lesser time in comparison to the previous java applications. Available in 190 countries, as of april 2016 Netflix amassed 81 million subscribers worldwide. The entire user interface is built using Node. Node provided its lightweight, modular and fast application attributes and its implementation resulted in reducing the startup time of the website by 70% compared to the previous rate. Uber has a massive matching system build using Node.JS and is one of the first few companies to put Node.JS into full production. Inside uber programs can be inspected and errors can be addressed and acted upon without requiring an application restart. The active open source community constantly push and deploy new code and hence continuously optimize technology. Ebay operates its services in 37 different countries and reached upto 162 active million users. Its speed, simplicity, performance, scalability, transparency and control, single-threading, handling I/O bound operations, not blocking I/O are some of the attributes achieved using Node.JS. By the end of March 2015, Groupon featured more than 450,000 deals daily to its 48.1 million global users. Since its switch from Ruby on Rails to Node.JS, groupon has made its web pages faster by 50% and are also able to serve a higher amount of traffic. This also assists in making site-wide feature and design changes more quicker than the one in the previous architecture. 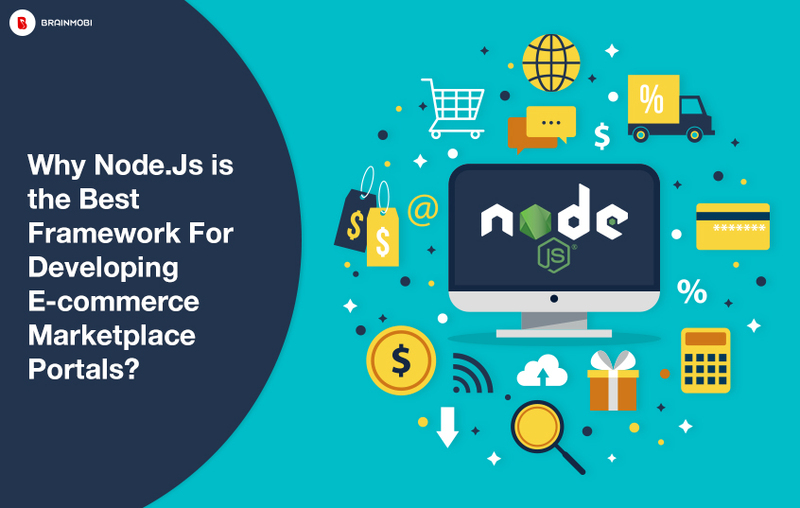 When it comes to getting the crucial features of any e-commerce website, here are a few ways how Node.JS can improvise. The non-blocking I/O model makes it clean and usable and is the ideal choice for any data-intensive, real-time applications whose performance environments might vary. It empowers, real-time web application by adopting push technology as against websockets to build server-side web applications with two-way channel which is the client and server separately. Older methods considered HTTP request and response as two separate events but from the perspective of Node.JS they go as data streams. This comes very handy in sketching out entertainment apps as files can be processed simultaneously while uploading and reduces overall processing duration when data comes in such similar streams. As one of the top mobile application development company, we at Brainmobi know the core application strengths of each and every technology in the picture. 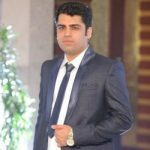 The above mentioned advantages are the smartest factors your e-commerce website can implement to be a league ahead of the rest. Our smart and experienced base of developers can bring the best of the node.js framework to help you improvise with every small issue you want to address. If you have the idea for a mobile application feel free to write to us at sales@brainmobi.com .